According to flash data released by real estate portal SRX Property, prices in April dipped 2.4 per cent from the same month last year, and are down 13.5 per cent since the peak in April 2013. The decline in prices for mature flats was steeper compared with non-mature flats on a month-to-month basis, falling by 1.5 per cent versus 0.2 per cent. 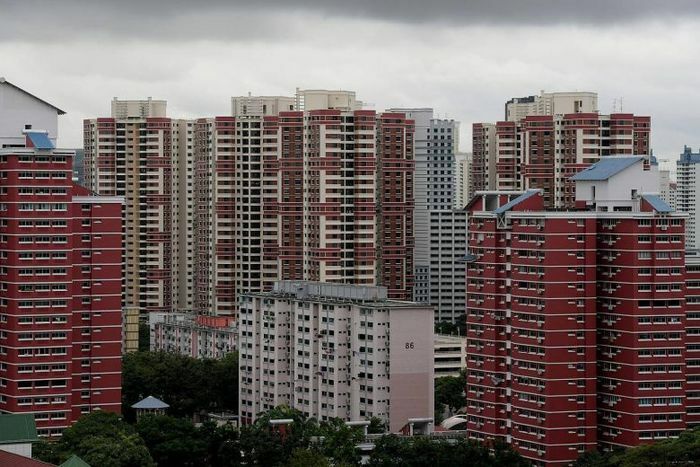 This could be due to the fact that there are comparatively more older flats in mature estates, said International Property Advisor chief executive Ku Swee Yong. "People living in older flats in traditionally expensive towns like Commonwealth may have awakened to the fact that their 99-year (leasehold) asset will depreciate after some time," said Mr Ku. But compared with April last year, the fall in prices was relatively similar - 2.3 per cent in mature estates, compared with 2.5 per cent in non-mature ones. Larger flats were also more affected by the price fall. On a month-on-month basis, last month's resale prices of three-room, four-room, five-room and executive flats fell by 0.3 per cent, 0.4 per cent, 0.5 per cent and 1.2 per cent respectively. There was also a 2.5 per cent drop in the number of resale flats sold last month - from 1,897 units transacted in March to 1,850 units. Resale volume was down 49.3 per cent compared with the peak of 3,649 units sold in May 2010. ZACD executive director Nicholas Mak said the main factor keeping HDB resale prices in check is the healthy supply of new HDB flats last year and this year. There were 17,584 Build-To-Order flats launched last year and there will be around 17,000 BTO flats to be launched this year.